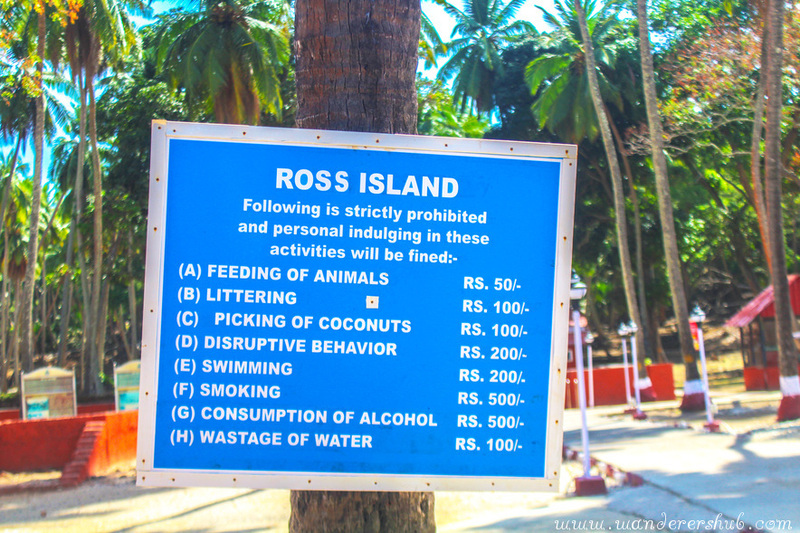 The moment you step onto the soil of Ross Island Andaman you know you have entered a zone that doesn’t belong to this era! The eeriness of the place is palpable and it takes you back in time – a different world, a different age. I walked past the entry zone mulling over the golden period of Ross island and how Britishers used to exploit it for their own good. It’s hard to visualise the way Indian freedom fighters were made to work tirelessly while the Britishers used to have a gala time ruling over them. Just when I got a tad too restless, a gorgeous deer walked past me. Umm the secret stories that Ross Island harbour! 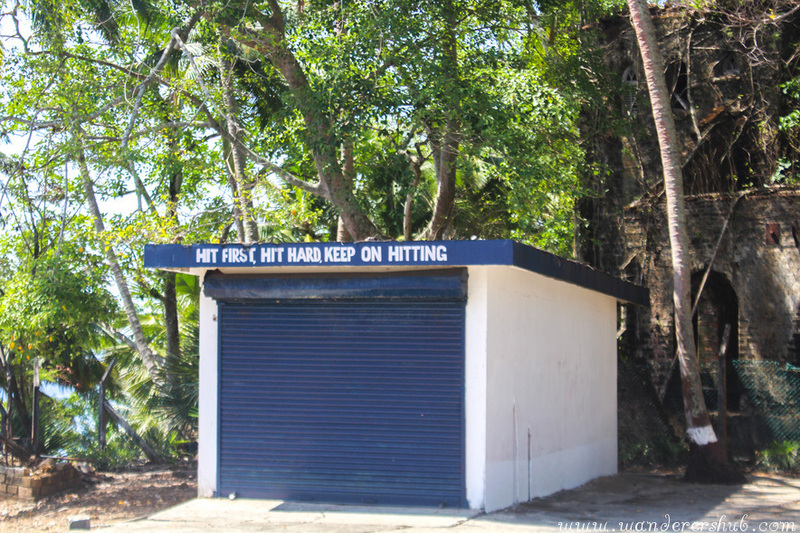 😉 On our last trip to Andaman, we visited the ruined Ross Island that was once the administrative settlement of Britishers. We were extremely excited about visiting the island ever since a good friend (thanks for the tip Vishwajeet) tipped us about the place. An abandoned island, it once boasted of lavish gardens, modern amenities like swimming pool, open-air theatres, bakery, ice-making plants. The ruined edifices of British haven prove that Ross Island Andaman at one point of time was a mark of affluent imperial lifestyle. To our delight the island was just ideal for spending a tranquil afternoon away from the bustling Port Blair. 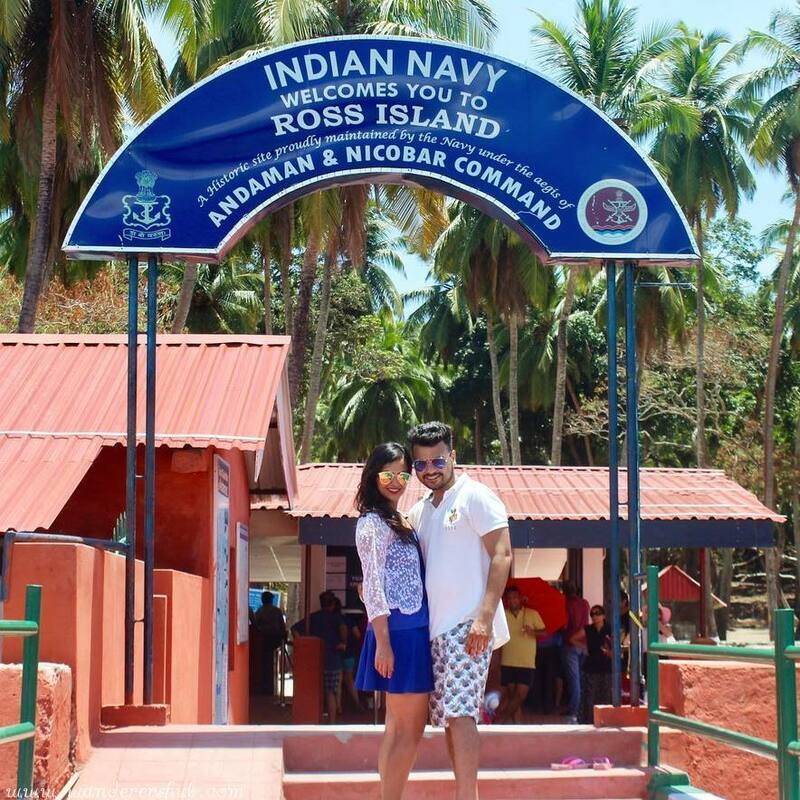 Ross Island makes for a perfect half day getaway from Port Blair. It is a comfy short boat ride away from Aberdeen Jetty that is 2km east of the capital. As you step inside the premises of the ruined land of Ross Island that’s been preserved for years, you’ll see a couple of friendly deers, just walk past them and make your way to the tracks. Once there, simply take a walk and with the help of sign boards uncover the crumbling tracks. Picture how leisurely and pompous the life of Britishers must have been in that era on the island. Examine the bakery, the Presbyterian Church, and water plants – ruins of the once effulgent structures. You can pack fresh fruits and some healthy eats to have a mini picnic at the Ross Island. The only canteen that is operational at the island serves just water and a few snacks! Good, comfortable pair of shoes is most advised when visiting the island as there’s a lot of walking to be done, back and forth. If visiting during hotter months, make sure you apply generous amount of sunscreen and carry an umbrella to avoid the heat. Drink lots of water to stay hydrated. It takes about 30 minutes from the jetty to reach the island and the cost per person for the round trip is 200INR for NON AC and 300 INR for AC. Make sure you reach the jetty in time as the departure timings are fixed. The first boat leaves the dock at 8:30 AM. You’ll be allotted 2-3 hours to explore the island and then return back at a fixed time to board the boat. If you miss it, you can be in a sticky situation. So set an alarm for the exploration and be back in time. Named after British Marine Surveyor Sir Daniel Ross, Ross Island was the administrative headquarter of Andaman and Nicobar islands. 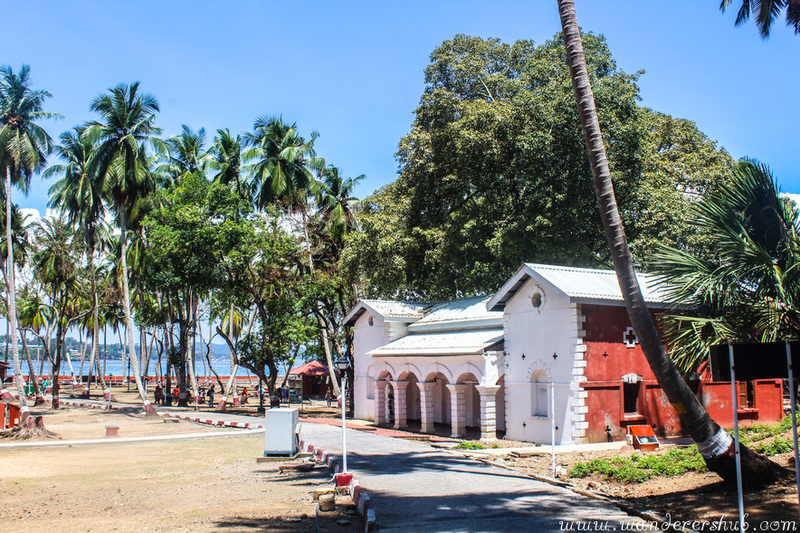 Owing to its strategic location, it housed the various Chief Commissioners of the Andamans, who could overlook the Cellular Jail at Port Blair from their opulent residence. 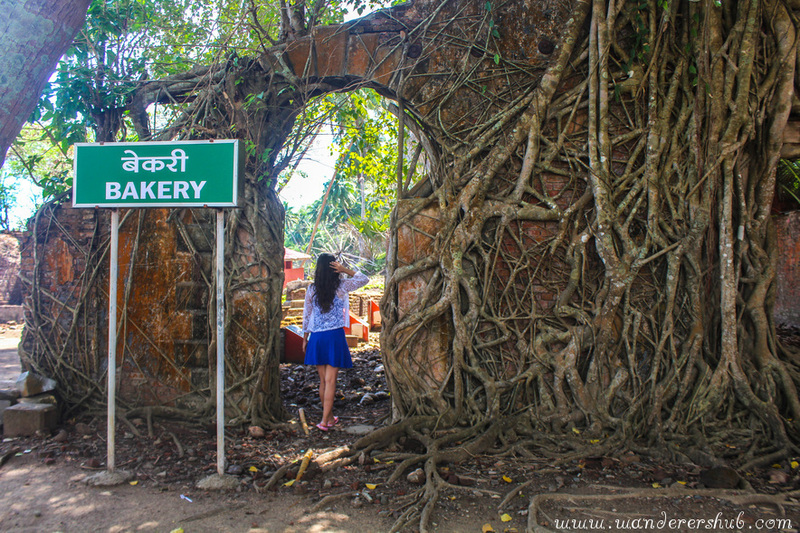 The island thus housed lavish facilities for the British officials, including a bakery, a tennis court, a bazaar and a printing press, remnants of which attract tourists from all over the world today. 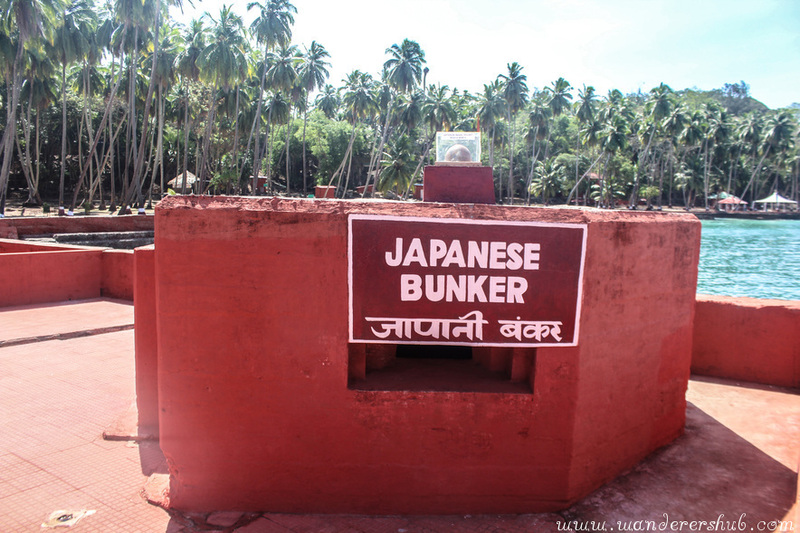 The island was shaken due to a massive earthquake in 1941, and the headquarters were shifted to Port Blair. 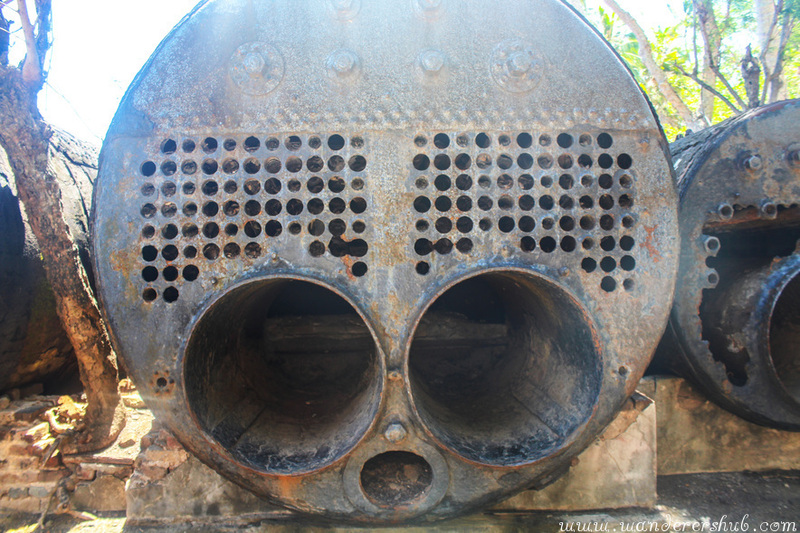 Soon after, in 1942, the Japanese took over Ross Island as part of their reconnaissance during the Second World War, owing to which some articles of their presence are displayed on the island. 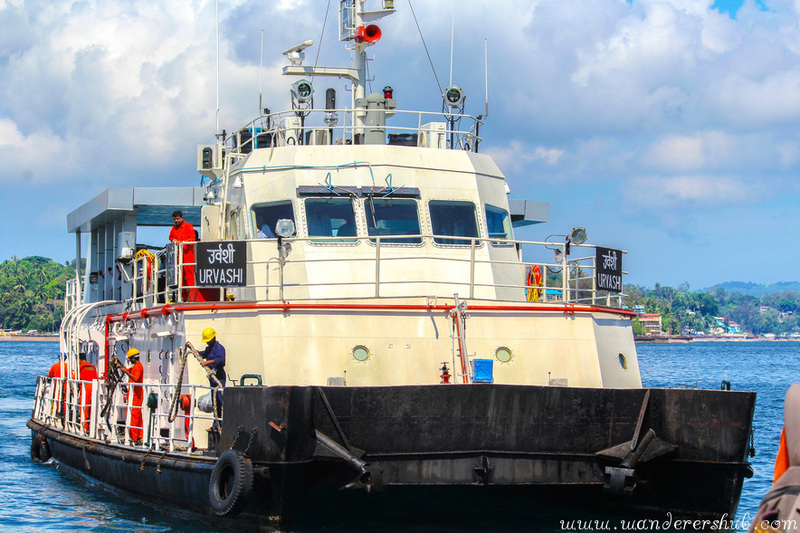 It was restored only in 1979, when it was handed over to the Indian Navy. Somehow for me, the haunting ruins of Ross Island were reminiscent of the Scooby Do series – where Scooby along with Shaggy went to find out missing people in old, spooky buildings. I bet, it looked just like that in the night! Thank god for no tours to that island after evening. 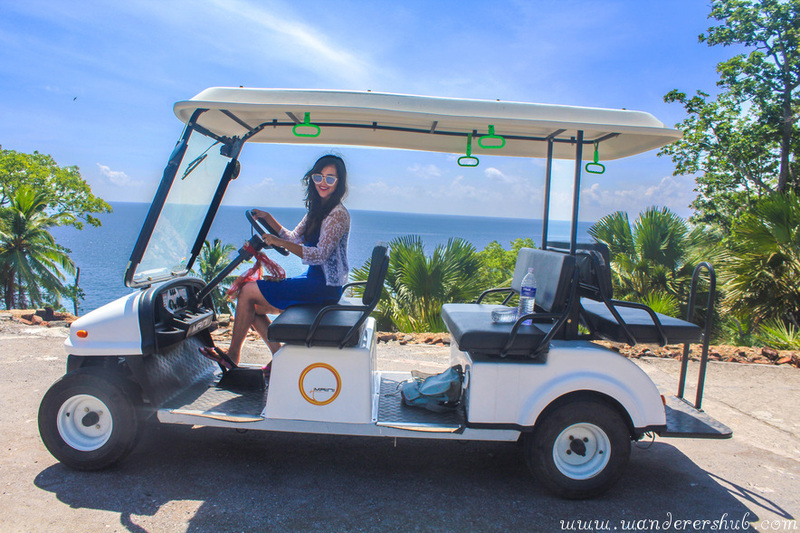 If you are not too willing to walk up all the way to the highest point of the island, opt for a battery operated golf cart. We had to choose it as it was too sunny on the day we visited Ross Island. All those who want to get a better clarity about the way things used to work during the bygone era can go for a guided tour with the only guide on the island, Ms Anuradha Rao. It is well worth spending 300 INR and getting around the island with her as she treats the entire place as her home, and communicated with the animals (deers and peacocks) like they are her children. Wow looks like you had a great day out, and an educational one!